"We're bringing things into this that haven't been developed... we're working with scientists in the Netherlands... all trying to push boundaries, because that's what Michael is all about." That's not a line from an R&D guy or a New Products engineer; it's from a Wardrobe Designer named Zaldy, talking about his work for Michael Jackson. 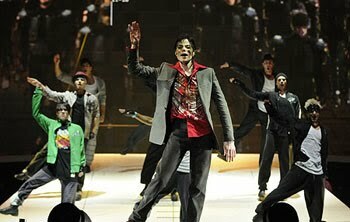 It's in the recently-released video of the documentary "This Is It." 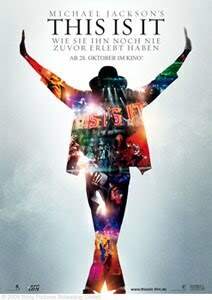 (If you haven't been paying attention, the documentary is made from footage of the rehearsals for what was to be Jackson's touring show.) Watching it got me thinking how fully Jackson fit the profile of great bosses that I've been developing over the past couple of decades. Okay, his personal life was bizarre and misguided, and I suppose that we could say it killed him, but there on stage he was efficient, guided and guiding, a master at work -- not just a master performer, but uplifting manager. Like all of the great managers I've studied, the ones I came to call "gifted bosses," he was conscious of creating something special. And he made everyone else fully conscious of it, too. There was never a "good enough" moment. Indeed, we get to watch as a choreographer and dancers have a lively exchange on how to properly do a crotch-grab during one dance number, and the choreographer, without irony, explains how a Baryshnikov would have done it. And, in another scene, we encounter what we must consider another of our Great Moments in Management. Jackson is working with his Musical Director, who plays him a bit of a song. Jackson says, "Pretty good. Pretty good." And that is all it takes for it to be tossed out. Then the Music Director offers a new variation; Jackson opines that the rhythm needs to "simmer"; to which the response is, "Let add a bar. See what we get, simmer-wise." And they experiment till it's just right. This Is It I love that exchange because it shows what happens when everyone is committed to creating the terrific. "Pretty good" is an insult. It's as if the team leader had said, "It's good enough for other people, but not us." And the team believes it, without question or apology. We see the same spirit when the pyrotechnics guy demonstrates the fireworks above the stage and the Director says, "Can we do that, times ten?" and the answer is, with delight, "Absolutely." It would be easy for the fireworks tech to say, "Hey, that's what's in the specs" or, bigger picture, to say "Hey, it's just a music concert." That would be as easy as telling Steve Jobs to relax, it's just a music player or cellphone that he's working on. But nowhere in "This Is It" is a hint of that "it's only" thinking. Every crotch-grab is important, every firework, every guitar solo. The Wardrobe Designer I mentioned earlier was working with scientists in the Netherlands on wearable lights. If they weren't there would anyone notice and be disappointed? Of course not. What we see in the documentary, and what I've seen in the best workplaces, is a culture where the work is NOT about the audience/market/customers; it's about taking talent and taking off with it, luring it into the unknown, playing with the extraordinary for the sheer joy of being part of something better than it has to be. And that's exactly what elevates the best business endeavors, the joy of exploration into the frontier: better than it has to be.